Recently, I was giving a presentation to the ASSE’s Puget Sound Chapter as part of their Professional Development Conference. Thanks again to the ASSE folks for having me as a presenter, and thanks to everyone who attended my session. At the very beginning of the presentation, after I explained I’d be discussing EHS training and that a lot of what I’d say was drawn from the newly revised version ANSI Z490.1, one of the ASSE members in the audience asked me if there was a similar ISO standard that had been revised recently also. I explained that I thought he was thinking of ISO 45001, which is NOT about EHS training but is instead about Safety and Health Management, and which is available only in draft form (the comments section has been extended for the time being). And I also noted that OSHA had its own Safety and Health Management Guidelines document which was available in draft form and for which OSHA recently had (and has since closed) a comments period. So I decided I’d write a series of articles focusing on ANSI Z10. It’s a standard about Safety and Health Management, like ISO 45001, but it’s in final form. And it’s created by The American National Standards Institute (ANSI), which is relevant to Convergence and to many of our customers, since we’re located in the U.S. This is the first article in that series about ANSI Z10, then. In this article, I’ll try to clear up some of the confusion mentioned above about the different topics and the different organizations. And in future articles in this series, I’m pretty sure what we’ll do is try to see how the upcoming OSHA Safety and Health Program Management Guideline may differ from the ANSI Z10 Occupational Health and Safety Management Systems Standard and then take a closer look at the different sections within ANSI Z10. But don’t hold me to that word-for-word, because I’m still in “flying-by-the-seat-of-his-pants” mode on the future articles. It should be an interesting ride that takes us through eight articles or so by the time we’re done. Fasten your seat belt and prepare for a fun trip ahead. Now let’s begin zeroing in on ANSI Z10. It’s one of a somewhat-dizzying collection of standards and/or guidelines that focus on safety and health management. Here’s a list of the ones we’re aware of. Please use the comments section below if you know of some we’ve left off. We can all learn together, right? This is a national standard (for the US) created by the American National Standards Institute (ANSI). ANSI Z10 was originally created by the American Industrial Hygiene Association (AIHA). Later, the American Society of Safety Engineers (ASSE) took responsibility for it. I’m sure there’s a fascinating backstory behind all that, but I don’t know it. This ASSE update touches on that issue, but doesn’t go into great detail and I suspect it’s not a barn-burner. 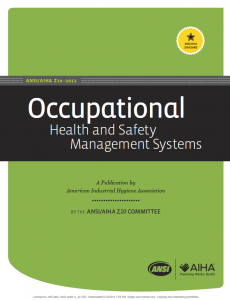 ANSI Z10 is titled “Occupational Health and Safety Management Systems.” That word “systems” in the title is worth noting, because ASSE makes a distinction between a Management System, like they one they promote in ANSI Z10, and a Management Program, like the one proposed by OSHA in their guideline (which is in draft status currently and which we’ll discuss a little more immediately below). For now, be aware of the different terms systems and programs, and know we plan on focusing on that issue in the next article in this series. ANSI Z10 was revised in 2012. That’s the current version. This is a guideline created by the American occupational health and safety regulatory agency OSHA. The guideline is in draft status. You can read more about it here, including keeping up with the various comment periods, extensions, and ultimately its final release. As we mentioned earlier, note that this is about Safety and Health Program Management. That’s different than the ANSI Z10 standard, which is about Health and Safety Management Systems. We’ll cover that in more detail in our next article in this series. You can read the OSHA guideline in draft form here. You can also read a bunch of related supporting documents from OSHA, including public meeting transcripts, here. We’ll be basing much of our next article on comments from the public meeting transcripts. 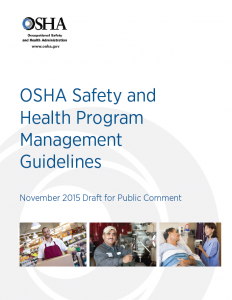 We haven’t yet written an article that specifically covers this OSHA Safety and Health Program Management Guideline. That’s because it’s still in draft form. When they finalize it, we’ll be sure to write up a storm about it. But we HAVE written previously on the topic of Safety and Health Program Management based on materials OSHA has made available in the past–click the link you just passed up if you want to check that out. We have read the new guideline from OSHA, and our off-the-cuff comment is it’s a helpful source of information and a big improvement over their previous materials. No national health and safety regulator has it easy, and you’ve got to take your hat off to OSHA for slugging their way through all this. 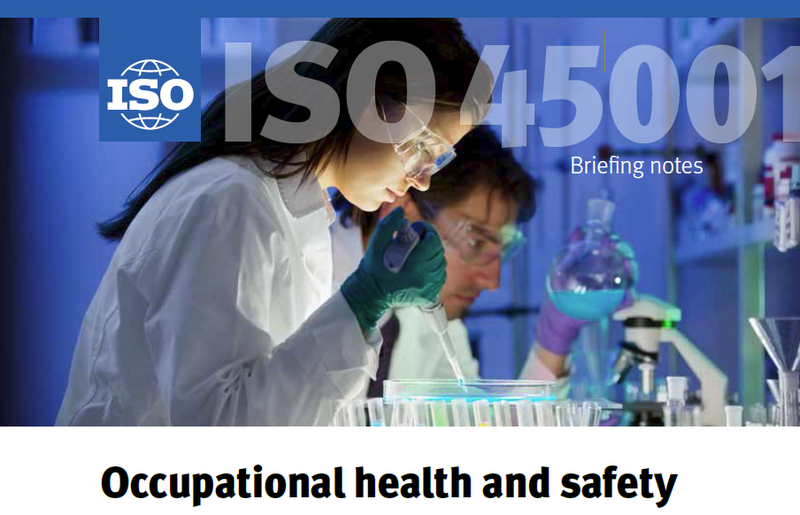 ISO 45001 is an Occupational Health and Safety Management System Standard. This standard is currently in draft form. According to the ISO website, it will be available in final form in October, 2016. (NOTE: 45001 is now final). You can learn more in this extensive interview about 45001. If you’re on LinkedIn, there’s a LinkedIn group dedicated to ISO 45001 as well. They do a good job of putting out current information there. OHSAS 18001 is an older, internationally applied British Standard (and is also known as BS OHSAS 18001 in Britain). Because 45001 is now final, 18001 will soon be sunsetted. Our interview about 45001 includes some information for companies planning to make the 18001-45001 migration. The ILO Guidelines for Health and Safety Management Systems 2001 was created by the International Labor Organization (ILO). 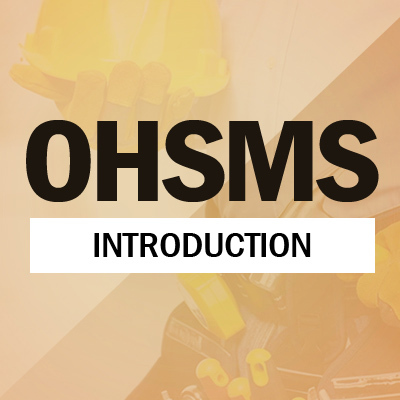 As with OHSAS, we’re not going to spend a lot of time discussing ILO OHSMS 2001. But we congratulate and thank those who created it, and we encourage you to use the comments section below if you have anything you want to share about either of these last two. A safety and health management system for Australia and New Zealand. This was published in 2001 and is current today. So hat-tip to Geoff, and thanks. In discussions of safety and health management systems, standards for other, similar management systems often come up. Here are a few. Again, let us know if you think we should add others. A quality management standard from our friends at ISO. ISO’s standard on environmental management. ISO’s food safety management standard. If you have any expertise in any of these standards, we welcome your input about them in the comments section below. In our next article, which has now been published, we’ll at some anticipated differences between the ANSI Z10 standard and OSHA’s upcoming guideline. We focus a lot of our attention on systems and programs for safety and health management. 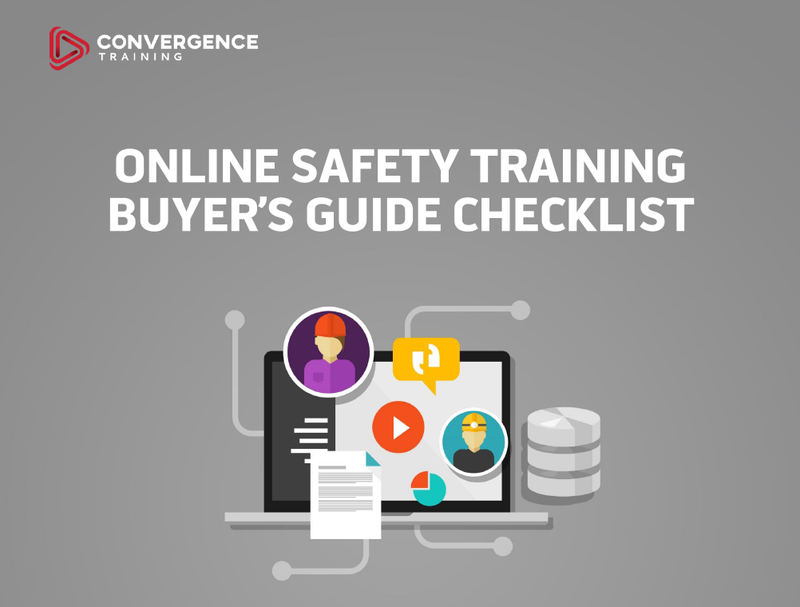 Before you move on to the next article in this series, take a moment to DOWNLOAD OUR FREE ONLINE SAFETY TRAINING BUYER’S GUIDE CHECKLIST, below.